Victor Frankenstein is obsessed with the secret of resurrecting the dead. But when he makes a new 'man' out of plundered corpses, his hideous creation fills him disgust. Rejected by all humanity, the creature sets out to destroy Frankenstein and everyone he loves. And as the monster gets ever closer to his maker, hunter becomes prey in a lethal chase that carries them to the very end of the earth. 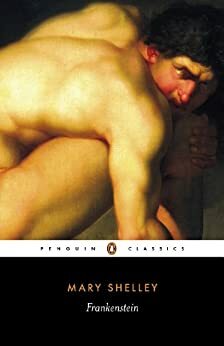 FRANKENSTEIN (annotated): A Penguin Literature Classic. Complete and Definitive 1831 edition by Mary Shelley. The Gothic Horror tale of grave robbery, medicine and human scientific experimentation. 4.0 out of 5 starsThat's classified" said Agent Franks. It took me years to get round to reading this classic horror story but I am so glad to have finally gotten round to it. My interest was piqued whilst reading the Monster Hunter series by Larry Correia. In which appears the character of Agent Franks. So I just had to read the Mary Shelly classic. I would recommend it to any fan of horror. Always interesting to read the original tales, written in very different times by very different people who faced death as a necessary fact of daily life. Strangely enough, we've grown into a society of easily offended, self-proclaimed immortals by comparison. Worth the effort for those who (like myself) hadn't read it and took the Hollywood spoon-feeding as gospel. the actual story reads a lot like all the scenes/dialogue that might have ended up on the cutting room floor. Too reflective, maybe too philosophical and wordy for Hollywood to capture verbatim. It's an emotional/psychological narrative rather than a graphic gore-fest. Much detail is left up to the reader's imagination; which may be why it could be a challenge for the average 21st Century reader. Language and sentence structure was very interesting. Story very different from Hollywood's portrayal. Given the era when this was written, it was interesting. I found it to be a very interesting read.